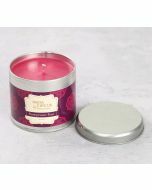 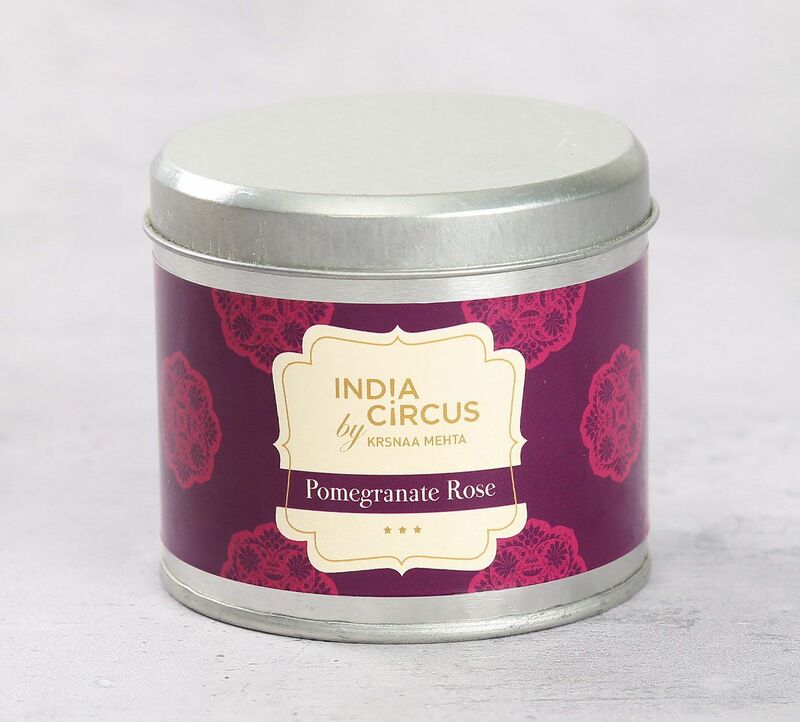 Dive right into the lovely fragrance of the red berry and romance of rose with the Pomegranate Rose Tin Candle from the house of India Circus. 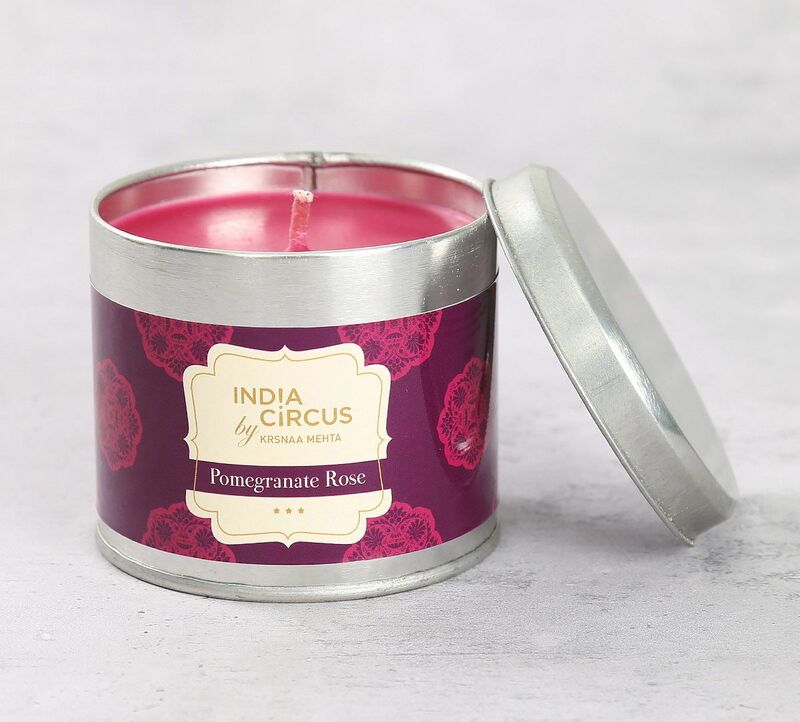 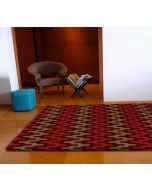 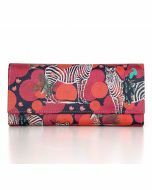 The intense fruity freshness of pomegranate is something you will want to devour to your living space. 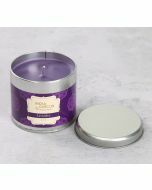 Dark and enigmatic, this will uplift and simply add an air of luxury to your home. 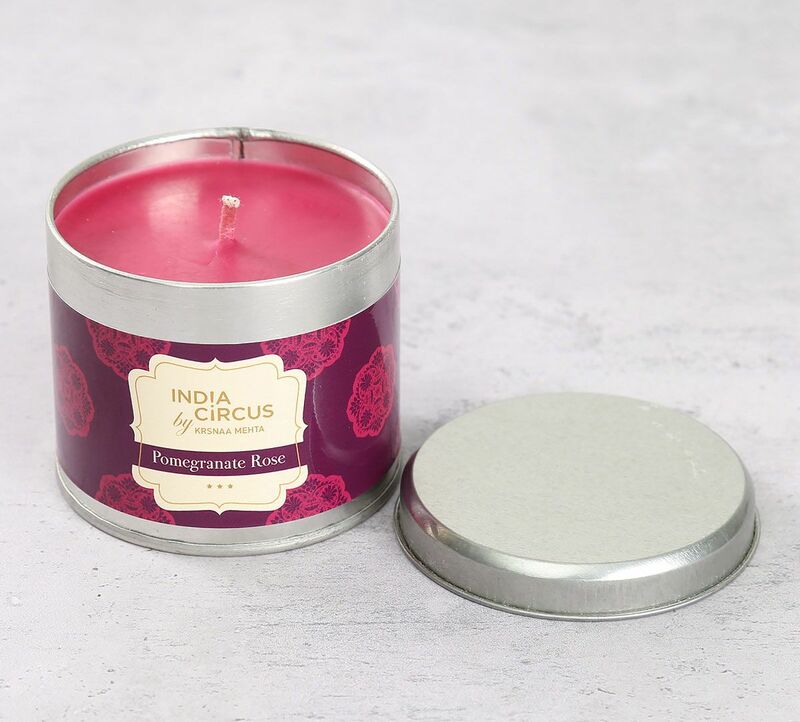 Indulge in the romance of this fragrance and many more as you browse through our entire assortment of tin candles and more on India Circus.